Miami has a heavy rail system. However instead of running underground, it runs almost exclusively on a viaduct. It is nothing like the old Elevated's of the North, these are concrete structures. Miami also operates a people mover as a downtown circulator and connects with the metro. 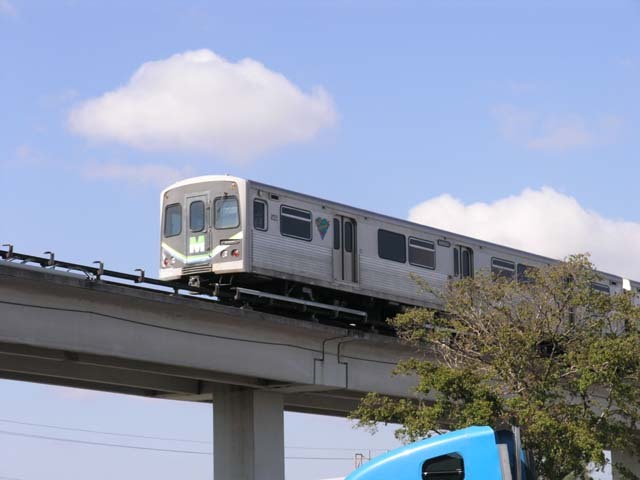 One last form of transit is the Tri-Rail commuter system. It started as a temporary line for an alternative during I-95 construction. Now it is permanent and is undergoing expansion.